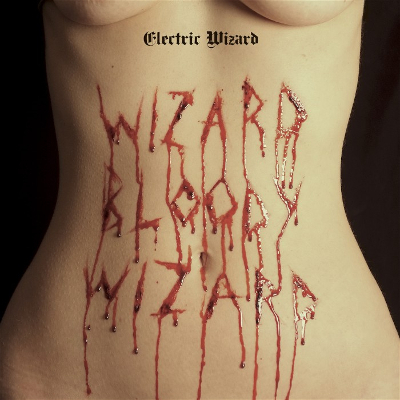 Electric Wizard, the legendary stoner doom band from England that manages to piss off half of the stoner doom community no matter what they do on each album. I'm sure this album is no exception, but I'm so sick of the whining, you either dig the Wizard or you don't I suppose. This sounds like an Electric Wizard album alright, Black Sabbath on PCP with the mastering at a higher volume. Decently strong riffs, simple song structures, huge sound, occult-themed lyrics that get reused a bit too often, the expected package is all here, delivered. Slow-driving riffage, Jus's usual vocals with a tinge of distortion and a nice dab of reverb. Epic 'Mourning Of The Magicians' (clocking in at 11:18 respectively) is pretty much classic Wizard. Is it going to blow the doors off 'Dopethrone' or 'Let Us Prey'? Well no, but it's good enough to go grab on vinyl and smoke out to for sure.